Why Being Bilingual Makes Your Brain Rock! Check out this cool article about studies, misconceptions, & advantages when it comes to being bilingual. Practice your pronunciation with this tongue twister. Three sad tigers ate wheat in a wheat field. Which of the three sad tigers ate more? Now another installment of a section I like to call “Mexican Manners”. One of the many fun, interesting things when it comes to learning about other cultures is studying manners and customs. If you want to impress Mexicans friends/acquaintances, this section will provide some tips for you. Today’s Tip is: WATCH YOUR BACK. I think this is a custom observed in most Hispanic cultures, not sure if it’s observed in other cultures, though. I’ve been with people who aren’t Hispanic and don’t follow the “watch your back” rule. They didn’t mean anything by it, it’s just a custom they don’t observe. In Mexican culture though it’s an important rule. Why? Because, it is considered very rude to have your back turned to someone. This is called “dar la espalda” = give someone your back. It’s considered as a sign of ignoring someone, a physical affront…etc. In all fairness, there are times when you must turn away from someone to talk to someone else, and certain situations when due to positioning, having your back face someone can’t be helped. For politeness sake though, it’s best to keep the location of your back in mind and try to position yourself at an angle where you’re not directly turning your back to anyone. Or if you do turn your back, excuse yourself & try and try not to do it for too long. 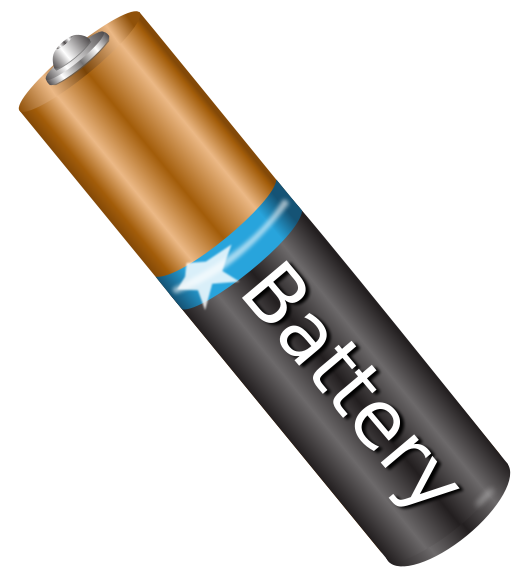 Today’s saying is : “Ponte las pilas” which literally means “Put your batteries in”. LOL to someone hearing this for the first time it might sound weird, but it’s a very common saying. The saying is referring to comparing yourself to being a toy or robot of sorts. This saying is used to mean: get on the ball! , straighten up and fly right! , put some effort in! A parent might tell their child “ponte las pilas” if he or she brings home a not so great report card. If a girl has a not so great boyfriend, her friends might say “ponte las pilas” & advise her to look for a better man. If someone wants a promotion, but there’s a lot of competition they could be told : “ponte las pilas” and you’ll get it.